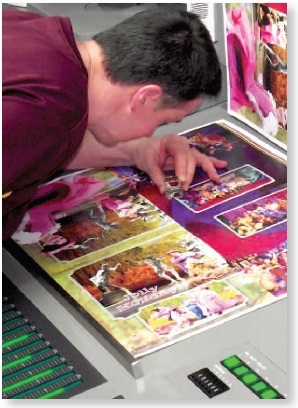 For more than 20 years, Playbill has owned and operated its own offset printing facility known as Playbill Printworks. This factory is located in the industrial area of Mt Kuring-gai, Sydney, Australia. 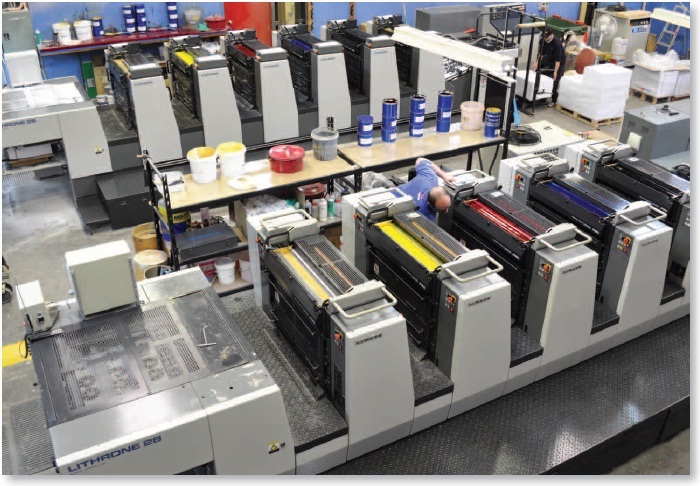 Playbill Printworks runs new generation five colour and six colour presses along with the latest digital pre-press and proofing facilities as well as a complete binding line all in house. The acquisition of this facility was made in order to be able to guarantee delivery on the extremely tight deadlines required for Playbill’s souvenir program operation. Having full control of this facility allows Playbill to commission urgent reprints where demand requires, virtually guaranteeing that stock will not run out and returns will be maximised to all parties. In addition to the printing of souvenir programs, Playbill Printworks prints promotional literature and general printing for many outside clients.